If there is a posterboy for various beers that taste great and gives a person his fill, it is not necessarily the breweries in Bavaria, albeit the numbers are huge and include Löwenbraü, Oettinger, Hofbräu and Paulaner (the last two are highly recommended). Nor are they necessarily in central Germany, where many local breweries have a couple flavors only but their own unique taste that makes people buy more, like Wernesgrüner, Hasseroder, Rosen and Köstritzer. More is sometimes better if the various flavors rake in patrons and profits. Founded in 1888, the family-owned business is not only famous for its swing top ceramic bottle cap that goes “plop!” when opening it. Because it has bucked the trend of other beers, other local German beers are following The Flens’ lead in that aspect. 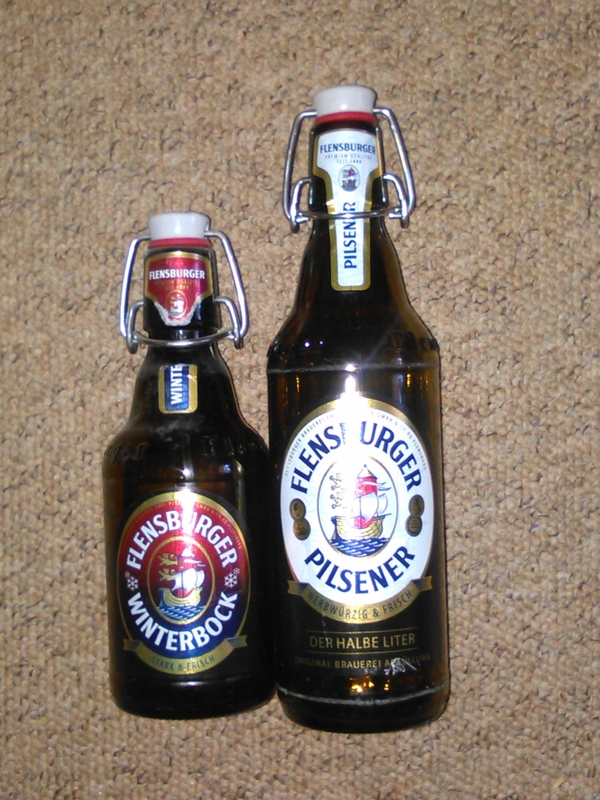 The Flensburger beer is known for its various flavors of beer- over 16 flavors in all, counting the water. With the flavors that have been retired, the number is close to 20! Personally, when a tourist or expat comes to Germany, which of the types of beer should that person try first and why? All of them, of course! You can attend a brewery tour at our facilities and afterwards will get a chance to try all of our beers. However, the Pilsener is our classic, so this one needs to be tried for sure! An insider tip is our Flensburger Weizen and the Flensburger Kellerbier. Those are definitely worth a try. But like I said – each one of our beers has its very own and special taste so best to not miss out a single one. All German beers are created based on the beer purity law of 1516, which will turn 500 next year. Can you elaborate what that law is all about and why it was enacted? Beers that are brewed according to the German Purity Law must only contain those four ingredients: (barley)malt, hops, yeast and water. It was mainly enacted to protect beer as an important staple food and to prevent tampering with ingredients that are not suitable for consumption. The Flensburg Brewery was founded in 1888 and is one of the oldest in northern Germany at 127 years. Can you tell me how the brewery was founded and who was behind it? The brewery was founded by five local residents in September 1888. They had found an ideal site, a glacier spring with crystal-clear water for brewing and a way of obtaining the ice needed for the lagering cellars. When Emil Petersen took charge of the brewery in 1933, the name of the brewery was changed to Flensburger Brauereien Emil Petersen & Co. K.G., which has remained as is since then. It was during his reign until his passing in 1974 and even when Hans Dethleffsen succeeded him that the brewery expanded and later modernised, making it a one of the most successful family-owned breweries in the region. For more information, please see our homepage for further information on our history: www.flens.de/brauerei/brauereichronik (German) or www.flens.co.uk/our-history (English). While the Flensburg Pilsner is pretty much the flagship of the beers (and can be found throughout Germany and other countries), the brewery is famous for its various flavors. Apart from the Flensburger Radler, Flensburg Winterbock, Flensburger Lime and others, what other flavors have you created up to now, which ones can you find on store shelves and which ones would you personally recommend? I also read about you creating the Flensburger Beer with quitten and pear. When did that come out and was it well received? Flensburger Fassbrause Birne-Quitte was launched earlier this year and it turned out a perfect complement for our Fassbrause range! Have there been some flavors that were experimented but failed and were subsequentially taken off the shelves? If so, which ones and why? A while ago we had two flavours of Flensburger Biermix (Blood orange & Grapefruit and Lemongrass), which are no longer in our portfolio. Are there any flavors that you are willing/planning to experiment with? Like strawberry, apple, etc.? Please understand that this will be kept our secret. Flensburger beer is common in English-speaking countries, including the US, where it was reported to be sold in places, like Texas, New York, North Dakota and even Minnesota (the last one because of the village of Flensburg located there). Why do you think the people choose Flensburger over beers, like Budweiser, Coors or even Miller? Our Flensburger beers have their very own distinctive tastes, in which they differ from most of the other “mainstream” beers. We are not compromising on the high quality of our products. This as well as the unique design of our swing-top bottle and the plop’ sound when opening it convinces people all over the world. While many breweries have been bought out or consolidated, the Flensburger has stood out as the “last man standing,” outfoxing the competition. In your opinion, what has been the secret to being successful? People up here in Northern Germany are quite down-to-earth, straightforward and persistent. We don’t give up too easily, even in hard times we work as a team and face challenges together. We take pride in our history and the independence our brewery has maintained over all those years. That is something we will never give up at any price. Apart from supporting the handball team SG Flensburg-Handewitt, what other social engagements has the brewery undertaken in recent years? 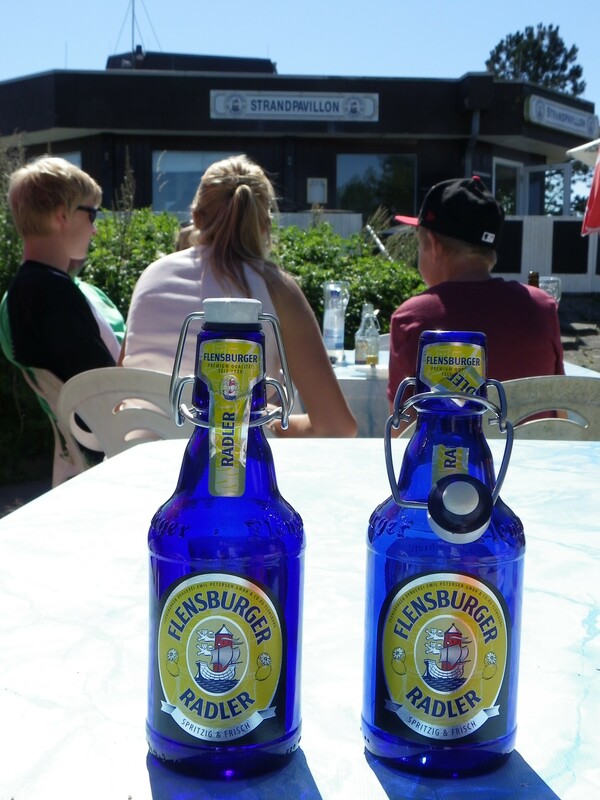 The Flensburger Beer has been a proud sponsor of many sporting leagues in Schleswig-Holstein. This includes the state soccer league and our engagement in the Flens Cup tournament. We also cooperate with the SHZ Newspaper Group in awarding the People of the Year to those who engage in extraordinary activities to help those in need. Please check out the following link for further information on this: www.flens.de/aktuelles/engagement (German). We mainly focus on local projects and events. Last question: If you were to market the beer in the US and on the international scale, how would you like this logo: “Never party without the Flens!” ? Our logo is “Flensburger. Experience the taste.”, which is not only communicated on a national basis but also internationally. Our Flensburger beers can be drunk at numerous occasions, it doesn’t necessarily have to be a party. In our portfolio we have at least one kind of beer for everyone, not only for youngsters who like to party but also for people who simply enjoy drinking an incredibly tasty beer!